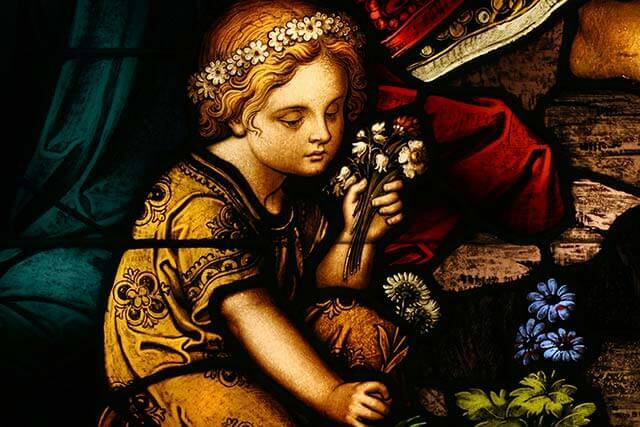 How Did the Tradition of Giving Flowers Become What It Is Today? In today’s society, flowers are given to loved ones to help communicate human emotions. Whether it be to express your undying love or gratitude for a friend, flowers can be given to anyone at anytime. But was this always the case? Just like everything else, the act of giving flowers has a rich history. With that in mind, let’s take a look at how gifting flowers has changed over time. History, myths, and tales dating back to ancient Greece, Rome, China, and Egypt show that flowers were an essential aspect of social customs. During these times, it was through that emotions could most easily be expressed through the giving of flowers. Furthermore, Greek mythology is full of information regarding certain flowers being representations of gods and goddesses. The tradition of giving flowers carried on to the Middle Ages, especially among the English and the French. It is believed that the tradition of giving a meaning to each type of flower was started in Europe after it was witnessed being done in Turkey. The Victorians widely practiced this custom as well. During the Victorian era, expressing feelings in words was not considered good manners. Because of this, people demonstrated their feelings by giving flower bouquets. Additionally, the Victorians had many rules for giving flowers. For example, if someone bought an elegant bouquet of roses from a florist and presented it to the receiver upside down, the receiver was sure to be angry. This is because red roses were thought to symbolize anger if gifted upside down. Today, the custom of gifting flowers continues. However, gifting flowers or bouquets has tons of different meanings. Additionally, the dos and don’ts regarding giving flowers have gained importance in today’s society. Just like the Victorians, modern people view flowers as having different meanings. For example, red carnations are seen as symbolizing deep love, white carnations symbolize pure love, and yellow carnations symbolize dejection. Because of all the different meanings associated with flowers, it’s important to consult an experienced florist before choosing flowers for a loved one. A florist will be able to ensure you find the perfect flowers for any occasion.